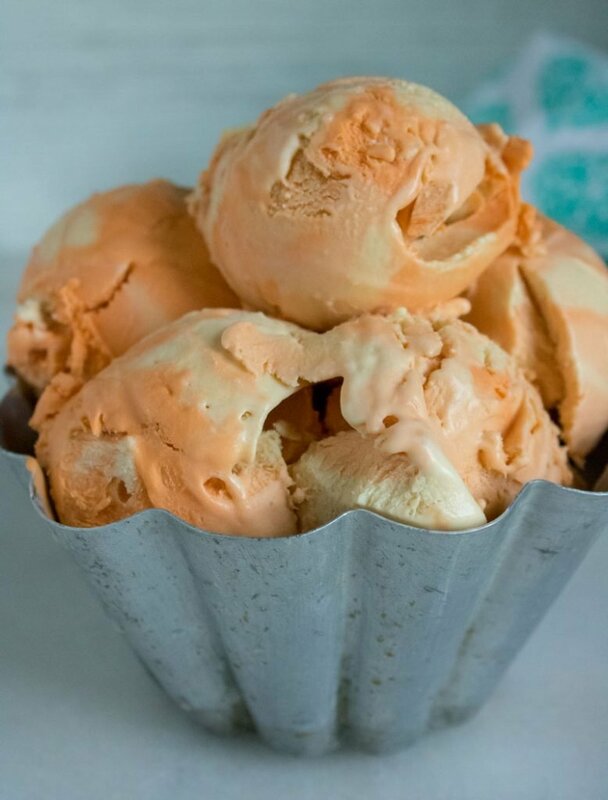 One of your favorite childhood treats, the classic orange dreamsicle, is now turned into a delicious No Churn Orange Dreamsicle Ice Cream. Easy, simple, but utterly delicious- this rich & creamy treat is ready to be whipped up whenever a bit of nostalgia hits. A creamy, easy ice cream recipe, this one means you can get your cocoa fix all year long, whatever the season. Our No Churn Frozen Hot Chocolate Ice Cream is the warm weather counter part of your favorite Winter treat. 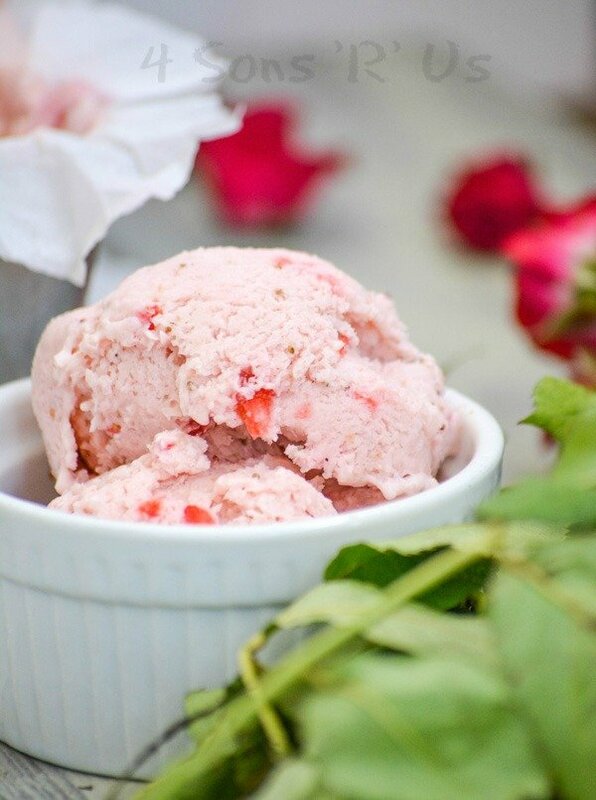 With a simple no churn recipe, you can have ice cream on hand in a a flash. 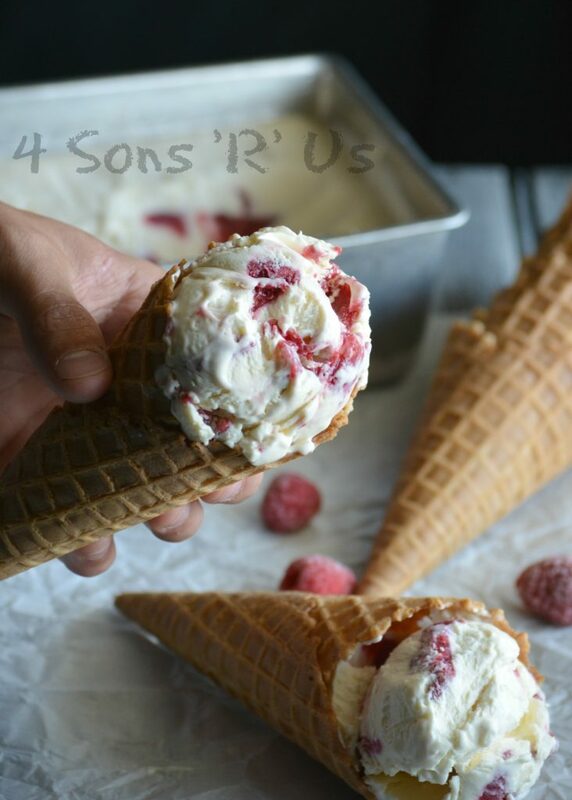 This No Churn Raspberry Cheesecake Ice Cream is everything you want in a delicious dessert- a rich sweetened creamy base, liberally swirled with a fresh homemade raspberry syrup swirl. 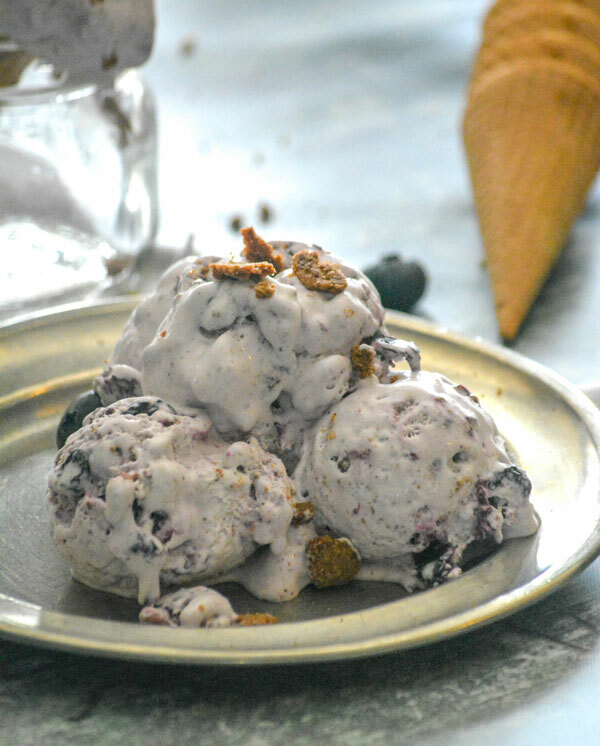 A quick & easy, rich & creamy dessert, this No Churn Blueberry Muffin Ice Cream features a fresh blueberry syrup swirl with a heavy sprinkling or homemade cinnamon streusel. It’s a blueberry muffin in each bite (but better, because ice cream! ), and the best way to enjoy breakfast for dessert. 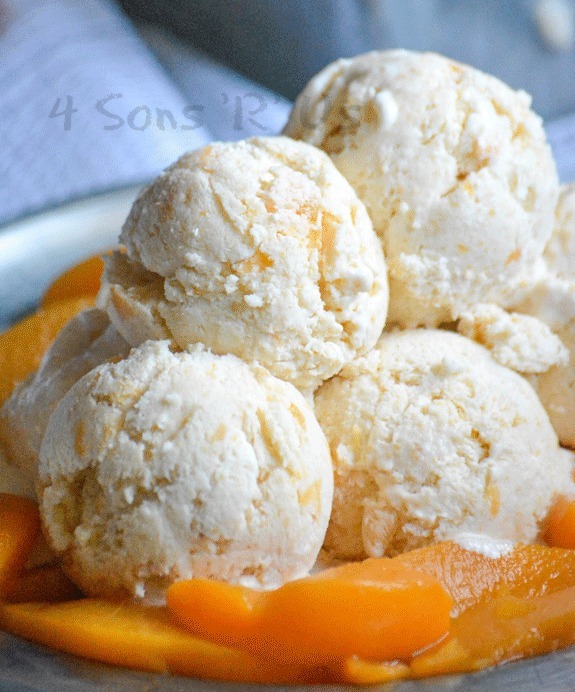 Have your favorite ice cream and enjoy it too, on a budget. 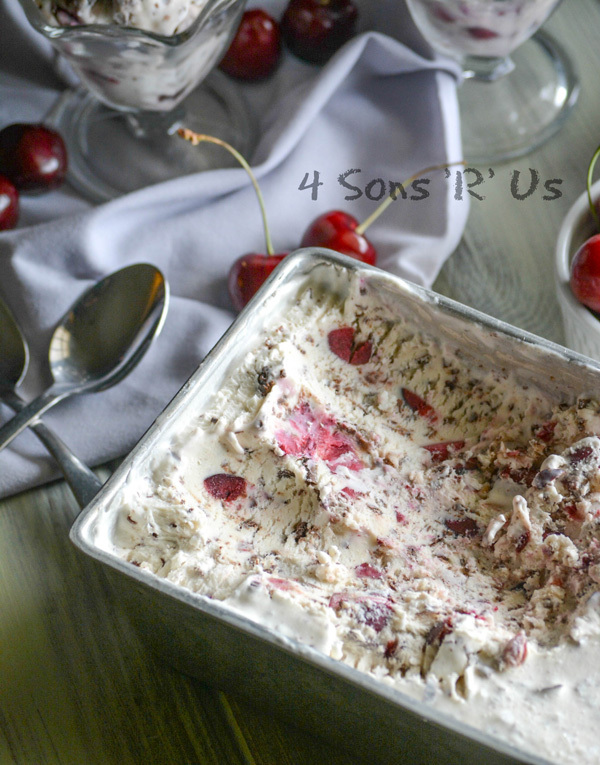 This Copy Cat Ben & Jerry’s Cherry Garcia Ice Cream is simple to whip up, and our no churn recipe means you don’t even need and ice cream maker. Silky smooth, creamy soft serve is studded with chopped sweet, dark cherries and chunks of dark chocolate. 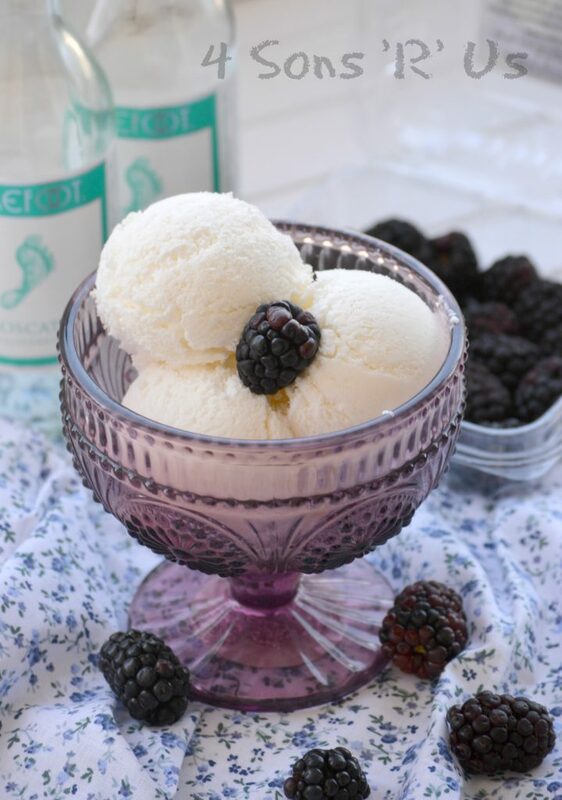 A light ice cream infused with the sweetness of fruity white wine is a heaping helping of adult dessert. Served topped with fresh fruit this Dessert Wine Ice Cream is sinfully sweet and the perfect way to treat yourself at the end of a long, hard day. Scoops of bright, creamy rainbow sherbet ice cream are right at your finger tips. Seriously. Got ice cream? Got some jello mix? You’re in business. 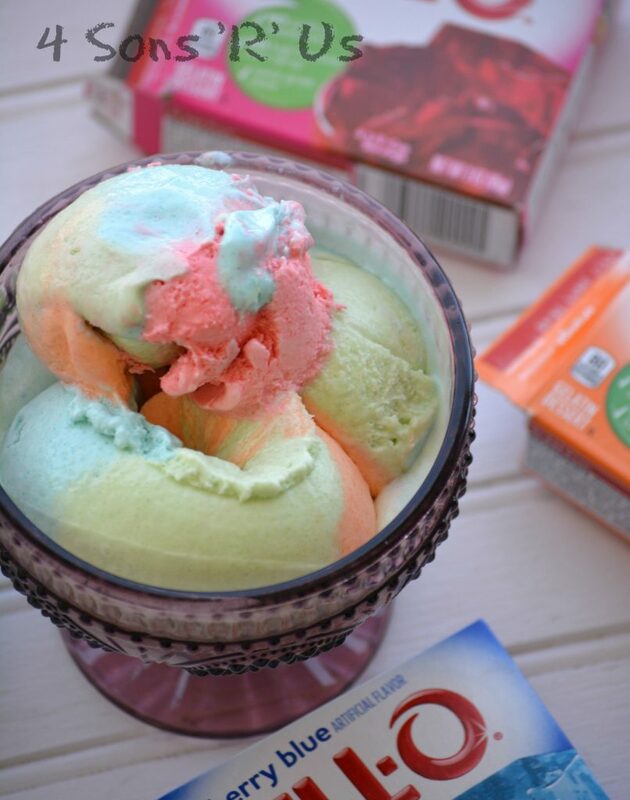 Two ingredients is all you need, and no fancy equipment or ice cream maker’s required for this fun, no churn Jello Rainbow Sherbet Ice Cream.